Erect plant with branched stems bearing up to 10cm long deeply veined, pinnately divided leaves. Small two-lipped pink to off-white flowers appear in axillary whorls in summer followed by black nutlets. 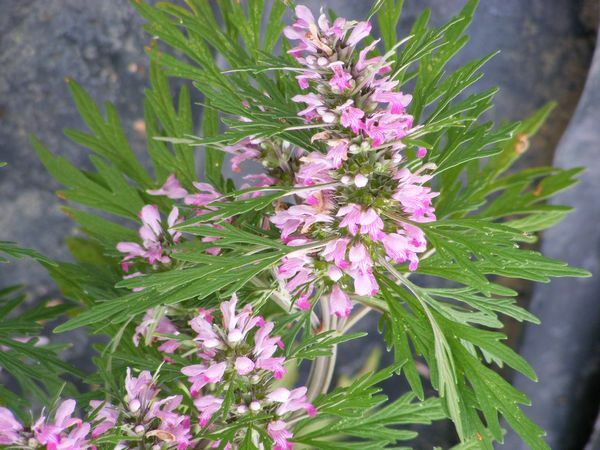 Fully hardy plant that needs well-drained soil in sun or partial shade. Will tolerate cold winters up to -0°C. Seeds can be sown from spring to summer. Young foliage can be eaten as a vegetable. The whole plant can be cut when flowering but before the seeds are set. Seeds can be collected when ripe in autumn. The whole plant is a bitter diuretic that stimulates the circulation, lowers blood pressure, helps oedema, kidney complaints and kidney stones. 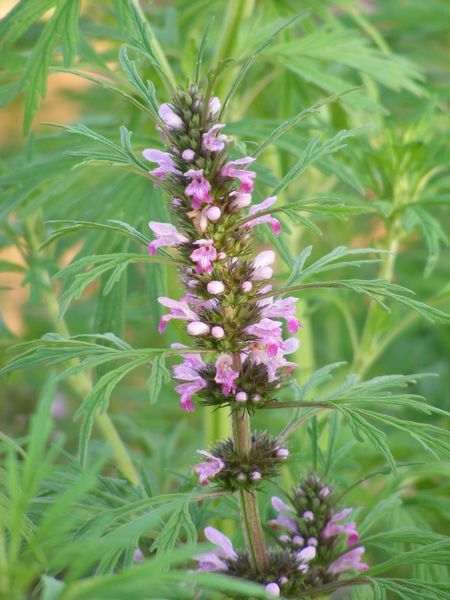 It regulates painful and excessive menstruation and postpartum bleeding. Effective against bacterial and fungal infections and clears toxins, eczema and abscesses. 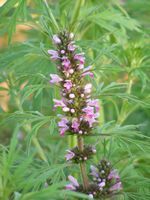 The seeds have similar actions but are less effective as a diuretic and detoxicant. The seeds are used internally for eye problems related to the liver meridian.